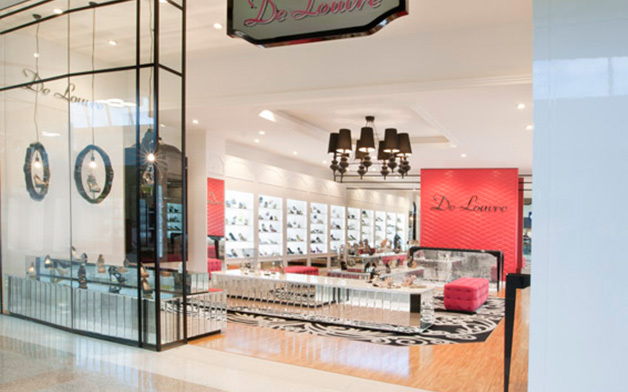 Shoe retailer De Lourve showcases a bold black and white palette with soft feminine highlights. The shoes are displayed in a series of adjoining wardrobe like cabinets whilst the shopfront display highlights the latest collection in suspended laser cut frames. Studded hot pink ottomans and bevelled mirror add to the embellishments that give this store a decadent feel..